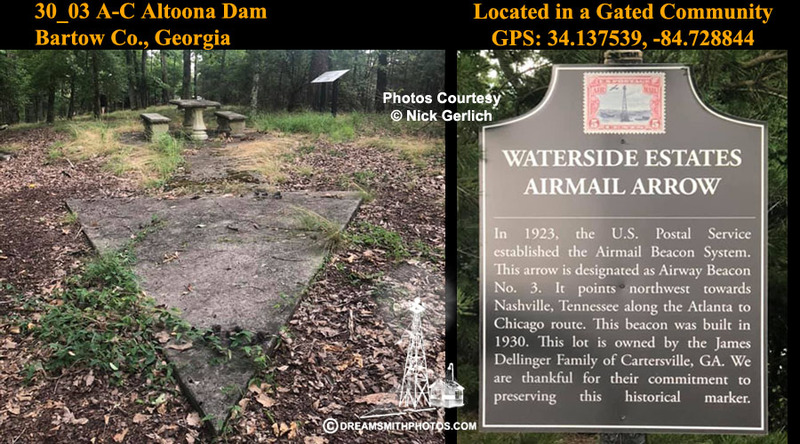 3A A-C Allatoona Dam, site No. 3A on the Atlanta-Chicago airway. This intersection station is the center of the revolving light on top of the steel quadripod tower. In addition to the revolving light, there are two fixed lights on the tower which show along the direction of the air course. This beacon is no. 3 on the route from Atlanta, Ga., To Nashville, Tenn. It is about 5 miles SE of Cartersville, Ga. This station was not visited. GA northwest of Atlanta. It is located in a gated community off I-75. Do you have a GPS or specific location identification? 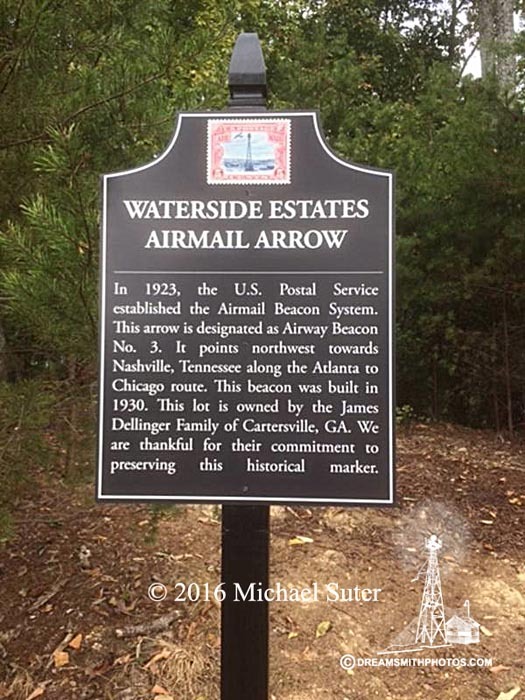 ATLANTA NASHVILLE AWY BCN 3 is on Arrow Mountain Dr. SE (gps: 34.137539, -84.728844) , it looks like there may be something there, can you confirm that it is an arrow? Looking at earlier google earth photos - look at 4/8/2010 image. It appears to me to me an arrow pointing to the NW. The GPS coordinates come down exactly in the center square. What do you think? Airway bulletin. no. 1-2. 1931-38.